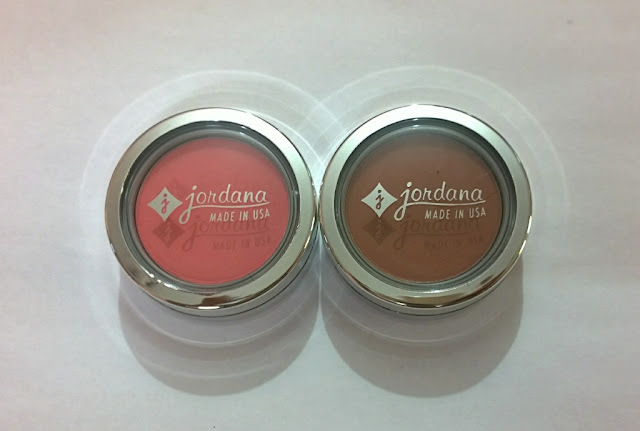 Jordana is an underdog brand of the makeup world. It doesn't get as much hype as it deserves. With a vast variety of products to choose from different categories‚ Jordana's lipstick and blushes are most talked about. 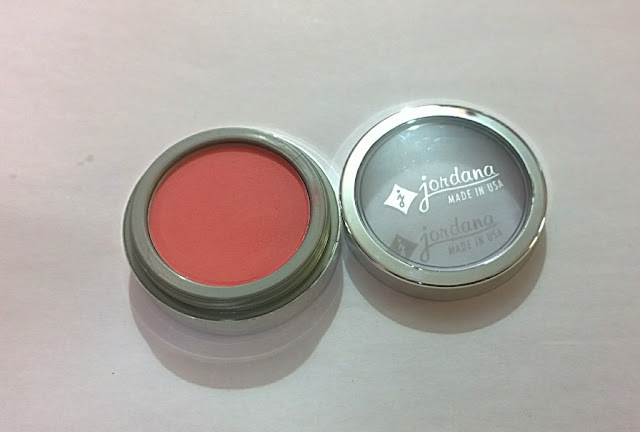 When I got an opportunity to get my hands on the Jordana's products‚ I picked up some blushes and a few lipsticks. 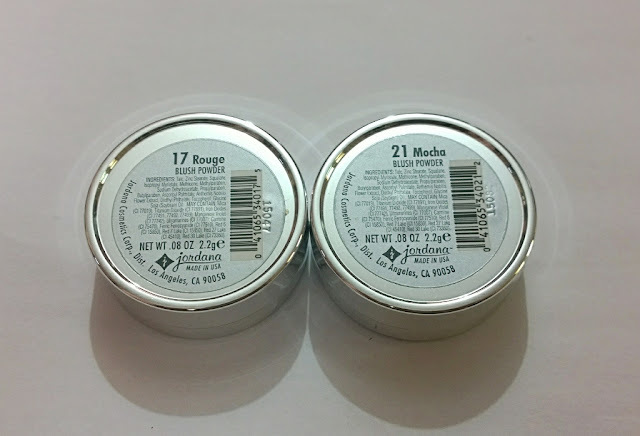 Today I will be reviewing their powder blushes in shade 17 Rouge and shade 21 Mocha. You don’t have to be in love to look like you are! A swipe of Powder Blush gives you the flush of true love and keeps everyone guessing! Choose a dark shade to sculpt the cheekbones and a bright shade for a sweet, refreshed look! 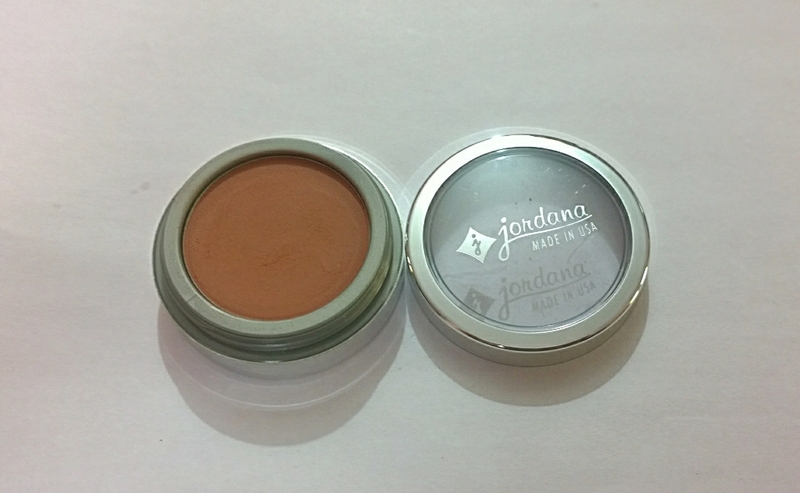 Jordana Powder Blushes are available in flimsy silver packaging with a transparent lid. The packaging doesn't look expensive‚ but then again I didn't pay much for it. The packaging is prone to scratches‚ but holds the product nicely. I accidentally dropped my blush‚ but it didn't break or turn into hundred pieces. It stayed intact‚ so I can say it's travel friendly. Jordana Powder Blush in Touch of Pink is the most talked about‚ but I didn't get my hands on it since it is too peachy for my liking. Instead‚ I purchased its blushes in shades Rouge and Mocha. Rouge is a perfect spring/summer coral pink‚ you can easily pull off this summer without wearing a full face of makeup. It gives your cheek a natural sun-kissed look‚ if you dig that. Mocha on the other hand is a warm beige‚ which you can use as a bronzer if you have fair to light skin tone‚ where as for medium to dark skin tone it works as a beautiful skin tone blush. Both the shades I got are matte. 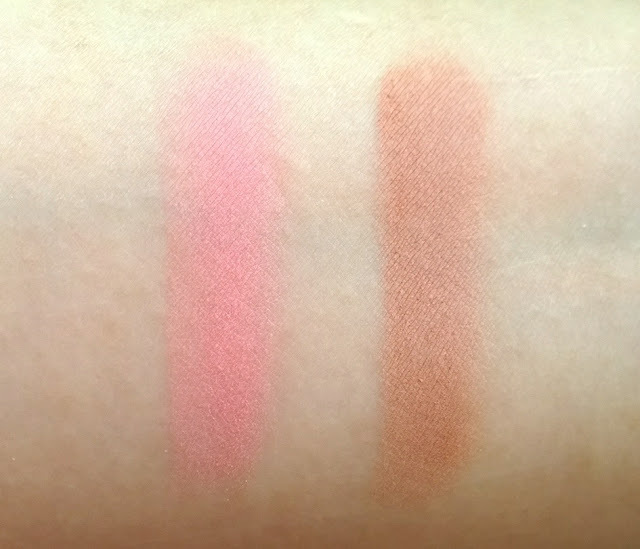 The formula of the blush has a cream like feel to it. It is very velvety in texture‚ but at the same time kicks off a lot of excess powder. If you have a fair complexion‚ you need to be light handed with it. Otherwise‚ you can easily build it up to your desired intensity. The main issue I find with these blushes is that they emphasize your pores. So wearing a pore-minimizing primer underneath it is necessary. Other than that these blushes blend very easily‚ don't look patchy unless you pack it on too much. They last you good 4-6 hours before fading away. They have good pigmentation and you can wear these blushes together‚ Mocha as bronzer and Rouge as blush‚ or you can layer it one on the other. Jordana products are easily available throughout the USA. You can order through their website if your live in America or Canada. They retail for a price tag of 3$ only.